Some of our products qualify for a 30-Day return, money back guarantee. Please refer to the respective product information page to see if it qualifies for our refund policy. Original receipt must be produced upon return of product(s). ** To qualify for a full refund upon product returns, product and packaging must be in original condition as when it was received. Partial refund will be given if the product or packaging is deemed to not be in it&apos;s original condition but still in satisfactory condition for re-sell. We reserve the right to reject any return or refund claims if the product or packaging is damaged beyond use or if any fraudulent activity is suspected. Returns are to be submitted directly to "City of Tones PLT" either by hand or through postage delivery. Any costs involved in returning the product(s) shall be borne by the purchaser/returner. Please allow up to 3 business days for refund processing. Method of refund either by direct payment, Bank Transfer, Reverse credit card charge, etc... shall be at the discretion of "City of Tones PLT". The warranty obligations of City of Tones PLT (“Tone Masters”) for the products listed in any of our pages or participating e-commerce website are limited to the terms set forth below. The limited warranty offered covers defects in materials and workmanship of any of products listed. This limited warranty offered does not cover any damage, deterioration or malfunction resulting from any alteration, modification, improper or unreasonable use or maintenance, misuse, abuse,accident, neglect, exposure to excess moisture, fire, improper packing and shipping (such claims must be presented to the carrier), lightning, power surges, or other acts of nature. The limited warranty offered does not cover any damage, deterioration or malfunction resulting from the installation or removal of this product from any installation, any unauthorized tampering with this product, any repairs attempted by anyone unauthorized by Tone Masters or its partners to make such repairs, or any other cause which does not relate directly to a defect in materials and/or workmanship of this product. The limited warranty offered does not cover cartons, equipment enclosures, cables or accessories used in conjunction with this product.Without limiting any other exclusion herein, Tone Masters does not warrant that the product covered hereby, including, without limitation, the technology and/or integrated circuit(s)included in the product, will not become obsolete or that such items are or will remain compatible with any other product or technology with which the product may be used. The limited warranty offered is not transferable to subsequent purchasers or owners of the products sold by Tone Masters. 1. Elect to repair or facilitate the repair of any defective parts within a reasonable period of time, free of any charge for the necessary parts and labor to complete the repair and restore the product to its proper operating condition. Tone Masters will also pay the shipping costs necessary to return the defective product once the repair is complete. 2. Replace the defective product with a direct replacement or with a similar product deemed by Tone Masters to perform substantially the same function as the original product. 3. Issue a refund of the original purchase price less depreciation to be determined based on the age of the product at the time remedy is sought under the offered limited warranty. If this product is returned to Tone Masters or the authorized dealer from which it was purchased or any other party authorized to repair the products purchased at Tone Masters, the product must be insured during shipment, with the insurance and shipping charges prepaid by you. If this product is returned uninsured, you assume all risks of loss or damage during shipment. Tone Masters will not be responsible for any costs related to the removal or re-installation of the product from or into any installation. Tone Masters will not be responsible for any costs related to any setting up the product, any adjustment of user controls or any programming required for a specific installation of the product. To obtain a remedy under the limited warranty offered, you must contact either the authorized Tone Masters re-seller from whom you purchased this product or the Tone Masters outlet/office near you. 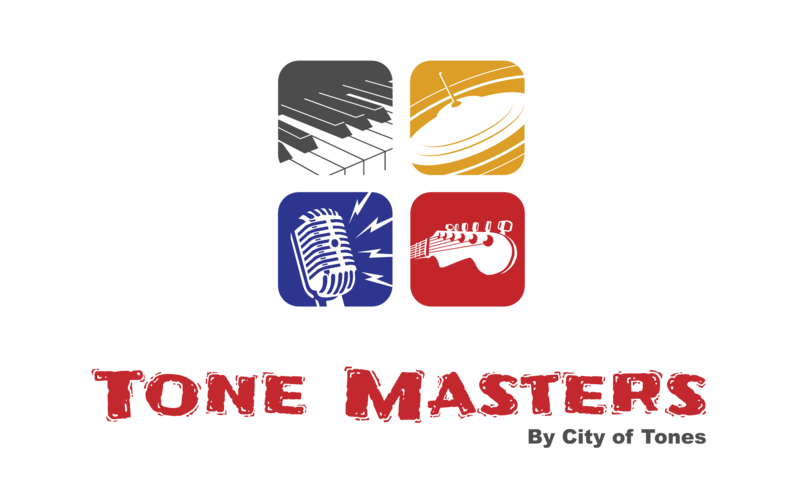 For a list of authorized Tone Masters re-sellers and/or Tone Masters authorized service providers, visit our web site at www.tonemasters.com.my or contact the Tone Masters office nearest you. In order to pursue any remedy under this limited warranty, you must possess an original, dated receipt as proof of purchase from a Tone Masters outlet/branch/authorized re-seller. If this product is returned under this limited warranty, a return authorization number, obtained from Tone Masters, will be required (RMA number). You may also be directed to an authorized re-seller or a person authorized by Tone Masters to repair the product. If it is decided that the product should be returned directly to the original manufacturer, the product should be properly packed, preferably in the original carton, for shipping. Cartons not bearing a return authorization number will be refused. THE MAXIMUM LIABILITY OF TONE MASTERS UNDER THIS LIMITED WARRANTY SHALL NOT EXCEED THE ACTUAL PURCHASE PRICE PAID FOR THE PRODUCT. TO THE MAXIMUM EXTENT PERMITTED BY LAW, TONE MASTERS IS NOT RESPONSIBLE FOR DIRECT, SPECIAL, INCIDENTAL OR CONSEQUENTIAL DAMAGES RESULTING FROM ANY BREACH OF WARRANTY OR CONDITION, OR UNDER ANY OTHER LEGAL THEORY. Some countries, districts or states do not allow the exclusion or limitation of relief, special, incidental, consequential or indirect damages, or the limitation of liability to specified amounts, so the above limitations or exclusions may not apply to you. TO THE MAXIMUM EXTENT PERMITTED BY LAW, THIS LIMITED WARRANTY AND THE REMEDIES SET FORTH ABOVE ARE EXCLUSIVE AND IN LIEU OF ALL OTHER WARRANTIES, REMEDIES AND CONDITIONS, WHETHER ORAL OR WRITTEN, EXPRESSED OR IMPLIED. TO THE MAXIMUM EXTENT PERMITTED BY LAW, TONE MASTERS SPECIFICALLY DISCLAIMS ANY AND ALL IMPLIED WARRANTIES, INCLUDING, WITHOUT LIMITATION, WARRANTIES OF MERCHANT ABILITY AND FITNESS FOR A PARTICULAR PURPOSE. IF TONE MASTERS CANNOT LAWFULLY DISCLAIM OR EXCLUDE IMPLIED WARRANTIES UNDER APPLICABLE LAW, THEN ALL IMPLIED WARRANTIES COVERING THIS PRODUCT, INCLUDING WARRANTIES OF MERCHANT ABILITY AND FITNESS FOR A PARTICULAR PURPOSE, SHALL APPLY TO THIS PRODUCT AS PROVIDED UNDER APPLICABLE LAW. IF ANY PRODUCT TO WHICH THIS LIMITED WARRANTY APPLIES IS A “CONSUMER PRODUCT” UNDER THE APPLICABLE LAW, THE FOREGOING DISCLAIMER OF IMPLIED WARRANTIES SHALL NOT APPLY TO YOU, AND ALL IMPLIED WARRANTIES ON THIS PRODUCT, INCLUDING WARRANTIES OF MERCHANT ABILITY AND FITNESS FOR THE PARTICULAR PURPOSE, SHALL APPLY AS PROVIDED UNDER APPLICABLE LAW. This limited warranty gives you specific legal rights, and you may have other rights which vary from country to country or state to state.This limited warranty is void if (i) the label bearing the serial number of the product has been removed or defaced, (ii) the product is not distributed or sold by Tone Masters or (iii) this product is not purchased from an authorized Tone Masters re-seller. If you are unsure whether a re-seller is an authorized Tone Masters re-seller, contact a Tone Masters/City of Tones office near you or use our "Contact Us" form to reach us. Your rights under this limited warranty are not diminished if you do not complete and return the product registration form or complete and submit the online product registration form. Tone Masters thanks you for making a purchase at Tone Masters. We hope it will give you years of satisfaction.